Looking for some new recipes? Download Betty’s Best of Fall 2016 eCookbook! It’s FREE and it has lots of recipes you’ll be itching to try! 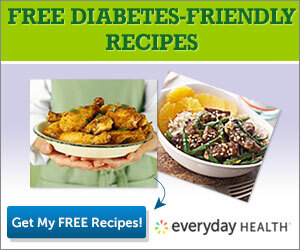 Sign up to get FREE Diabetes-Friendly Recipes from Everyday Health! Looking for some new pork recipes? Download this Smithfield Real Flavor, Real Fast Ready in 30 Minutes or Less Recipe booklet for some meal ideas! Access 100’s of Free Recipes with One Click! Enjoy all of the Best Recipes…with one click! Discover quick and easy meals for breakfast, lunch, dinner, and dessert! Continuously updated with fresh meal ideas at your fingertips! And it’s FREE! Looking for some new recipes? Download Betty’s Best of Spring 2016 eCookbook! It’s FREE and it has lots of recipes you’ll be itching to try!